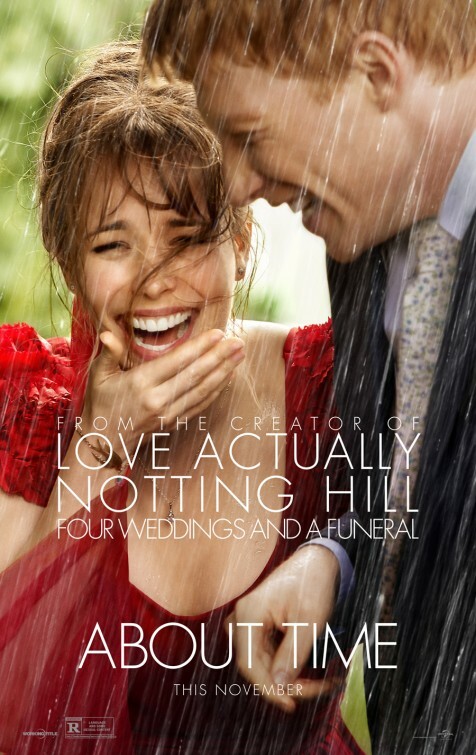 While About Time isn’t a great movie, it certainly is an enjoyable one. The sci-fi element here is used in the aim of romance and a bit of humor. The story involves a gangly British boy who, on his twenty-first birthday is told by his father that the men in his family have the ability to travel through time. There are, of course, some rules to this time travel gig: you cannot travel into the future, and you can only go back in time to places that you have been to at the time you were there. Time travel has its kicks and the device is used humorously as Tim (Domhnall Gleeson) begins to court Mary (Rachel McAdams). There is a good mix of humor and drama woven throughout. We learn that, even with time travel, one has to make important choices about one’s life and that those have consequences, either way you choose to have a particular situation play out. In one sequence the main character learns that he can have one value or another — but not both — and must make a choice. The theme that we ought to slow down and breathe in the wonder of life — to live every day as if it were the second time you were living it — is an admirable goal and one well concretized throughout the film. When we, in our busy lives, don’t take a moment to breathe, or are caught up in conflict or have anxiety or even are anticipating some exhilarating experience, we should stop and admire the wonder and fortune that we do have . In this way, the movie is about finding the value and joy in every day life, told through a time-travel themed love story. It is a little bizarre at times, and Bill Nighy, who plays Tim’s father, manages to pull off some pretty outrageous scenes as well as be convincing as a loving, caring father. Time travel is tricky, and sometimes the time travel rules are violated (if you’ve seen the movie, the one about the children, for example), so a few plot points don’t add up. But they aren’t so egregious that it spoils the whole movie. And composer Nick Laird-Clowes creates a lovely recognizable romantic theme that helps weave the emotional moments together. McAdams starred in another time travel themed movie: the Time Traveler’s Wife. That was a dud and, thankfully, this picture by writer/director Richard Curtis makes up for it. Unfortunately, About Time didn’t see theatrical box office success, but you will definitely want to cuddle up with your honey and pop this flick in the VCR (or stream it to your TV, depending on what time period you happen to be in). The movie arrives on DVD and Blu-ray February 4. This movie was screened at the Arclight Theater in Sherman Oaks late last year, full ticket price paid. This review was originally published on Soundtrack.Net. ← What Comes After RIE?